The Laerdal Suction Unit with Reusable Canister is a highly reliable suction unit that has been designed for use in emergencies. The filter is an integral part of the machine; if one isn't used, the unit's main compartment can become contaminated with aerosols. The Laerdal Suction Unit Aerosol Filters (Pack of 12) are an ideal way to ensure the unit remains clean and ready to use. Efficiency is essential for medical products, especially in emergency situations. The Aerosol Filters help keep your unit working optimally by preventing aerosols from entering the pump unit. Please note that the filters are not intended for microbiological or particle filtration, nor can they be used for decontamination. If your Suction Unit tips over onto its side or the canister becomes too full during use, the filter can become saturated with fluid. Once wet, the filter prevents the ingress of fluid into the pump. This innovative design protects the Suction Unit from any irreparable damage. When Should I Replace the Aerosol Filter? It is recommended that the Aerosol Filter be replaced after each use or at least once every shift. 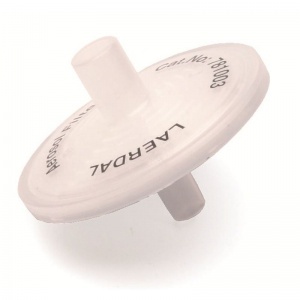 If the LSU is used on patients in areas where cross contamination is not an issue, the Aerosol Filter should be replaced at least once a month. It is recommended that you always have extra Aerosol Filters for your Suction Unit in case one has to be discarded. If the filter becomes wet, it should be replaced immediately or as soon as possible after use. The Laerdal Suction Unit Aerosol Filters (Pack of 12) will be subject to a delivery time of 3 - 4 working days after the point of order. For more information, contact our Customer Care Team at 020 7501 0593.